These are indeed hard times for human rights. In 2016, 281 human rights defenders were killed, and autocrats are engaged in an ideological assault on the very idea of human rights. And yet, in country after country around the globe, human rights defenders continue to work peacefully for the rights of the most vulnerable in the face of smears, threats, arbitrary detention, torture and killings. It is the resilience and effectiveness of the global human rights movement which has provoked the scale and intensity of the backlash. The autocrats would not be devoting huge resources in a concerted effort to close down human rights defenders if they were irrelevant. There is, of course, a lot of human rights pessimism floating around in Western countries, and it is not only Trump who would concede to Putin. Last year the BBC had an article proclaiming the end of human rights. But most of these pessimists are living in the Western bubble. David Forsythe’s recent article offers some helpful criticism of the human rights “miserabilists”, but it is important also to understand the contrast between Western bubble thinking and the reality on the ground. Those who focus largely on the machinations of the UN Human Rights Council or the role of Amnesty International and Human Rights Watch risk missing the bigger picture about the struggles for human rights at the local level. 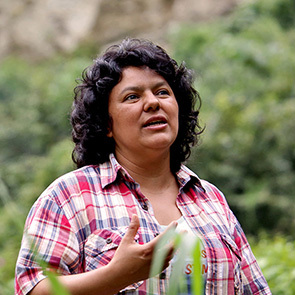 In much of the world, those who work for the rights of women, for land rights, for the environment, for indigenous peoples’ rights, and for the rights of the LGBTI community are growing in number and in voice. And they are celebrating achievements—such as the conviction of the perpetrators of sexual slavery as a war crime in Guatemala—even if these achievements often come at too high a price. Let us by all means mourn the duplicity and weakness of Western leaders on human rights. Trump and May demonstrate their contempt for human rights as they demonise the other in search of votes. However, it has been a long time since human rights defenders in Africa, Asia and Latin America thought the West was a beacon of integrity on human rights, or that the United Nations was going to deliver them from evil. They know that the struggle for human rights must contend with the corrupt and the powerful at the local level, and as agents of Western or other political and economic interests. Whether it is the European Union fawning over Egypt’s brutal dictatorship, the corrupt embrace of the United Kingdom and Saudi Arabia, or Western investments in mega-projects that trash the environment and local communities, human rights defenders know they must rely on the strength of their own communities to resist. There are many human rights defenders around the world living with fear and loss, but they refuse to give up, they are persevering. They are our best hope of a better future and those working at the national and international levels need to do more to support and protect them. The latest research from the Human Rights Funders Network shows only 1% of foundation funding going to human rights defenders and less than 1% going to security and resilience. On a more political level, the international response to crackdowns on human rights defenders in Russia, Egypt and Burundi has been weak and ineffectual, and the soaring rate of killings of human rights defenders in Brazil, Colombia and Honduras provokes some hand-wringing but no serious effort to address the issue. Any analysis of the state of human rights in the world has to start with those who are engaged on the front lines of human rights struggle. How do women’s rights defenders persevere in Iran in spite of the brutal repression? How have defenders of LGBTI rights in Africa been able to build support and become more vocal in spite of the backlash they face? What can be learnt from the increasingly violent struggle for land and indigenous peoples’ rights in the Americas? An analysis of global human rights based on an understanding of the struggles in which defenders are engaged around the world would not be suffused by sunny optimism, but it would recognise advances as well as challenges. It is truly ironic that Western academics and journalists are lining up to write off human rights just as Putin, Xi Jinping and their fellow autocrats pay tribute to human rights with the scale of their investment in crushing the resilient human rights movements in their countries. 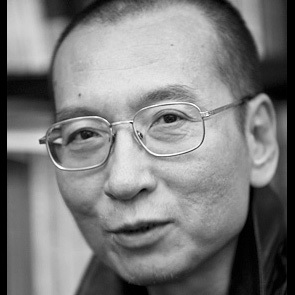 Brutal repression of human rights defenders has seen some short term successes, but a poem quoted in memory of Liu Xiaobo contains an important message, "You want to bury him / Bury into the dirt / But you forget / He is a seed."